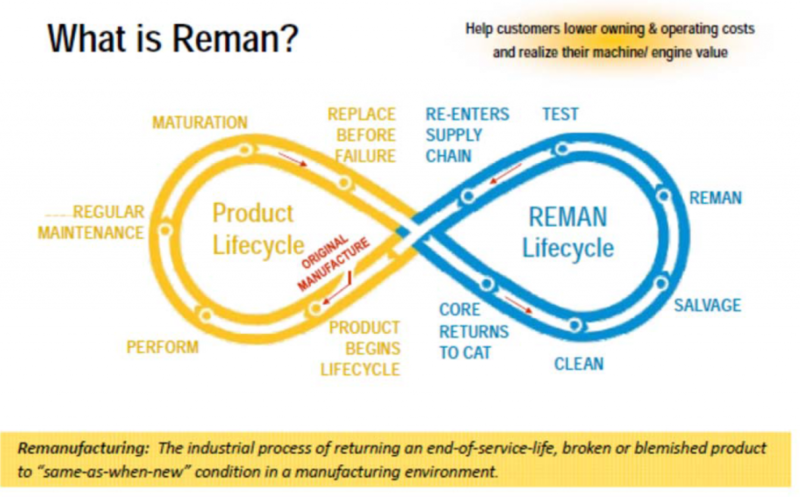 Remanufacturing is an exchange business: Customers return their end-of-service-life component to the original manufacturer, and get a remanufactured component in exchange. These end-of-service-life components are called ‘cores‘, and can range from engines, turbines, gas compressors, locomotives and railcars to hydraulics, drivetrains, turbochargers and fuel systems. Remanufacturing transforms these ‘cores’ to their original engineering specifications, allowing them to serve another lifecycle. Through the remanufacturing process, the ‘core’ is completely disassembled, down to its individual constituent parts, and inspected against engineering specifications for reuse. Those components that are within remanufacturing guidelines are thoroughly cleaned and undergo additive manufacturing processes to bring them back to original, if not better, engineering specifications and tolerances. It’s a win-win for customers purchasing remanufactured products: First, they get a refund equivalent to the value of the returned ‘core’. Second, they receive a remanufactured product that performs the same as a new product, is warranted the same as a new product, and yet costs a fraction of the new product price. This benefits the environment because fewer raw materials are required and energy is saved. 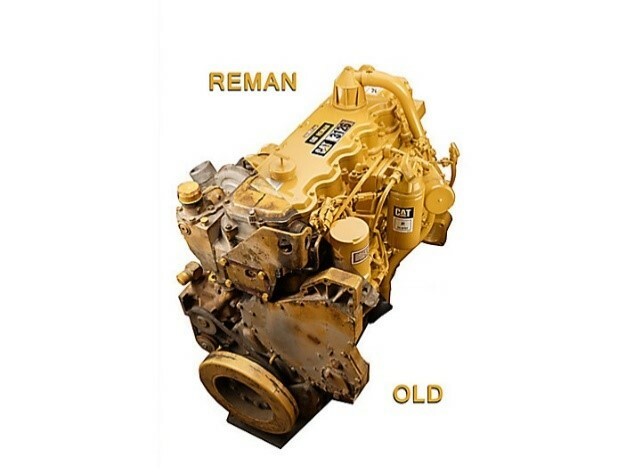 85,000 tons of material are remanufactured each year. This is more than eight times the weight of the Eiffel Tower in Paris, or 35 times the weight of the Atomium in Brussels! Unfortunately, not all customers around the world can benefit from the significant sustainability benefits that remanufactured products deliver. Many leaders in developing markets do not fully understand the benefits of remanufacturing, or consider them “used” products. As a result, some countries have laws and customs regimes that prohibit the ability to sell remanufactured products – to the detriment of its local businesses, customers and the environment. But some recent negotiations give hope for the future: the Trans-Pacific Partnership (TPP) agreement among eleven Pacific Rim countries clearly acknowledges that remanufactured goods must be treated the same as new goods and cannot be regulated under “used” goods policies. Similar language has also been included in the EU-Vietnam free trade agreement. Additionally, the European Commission officially recognizes remanufacturing as high potential area to promote innovative industrial processes.